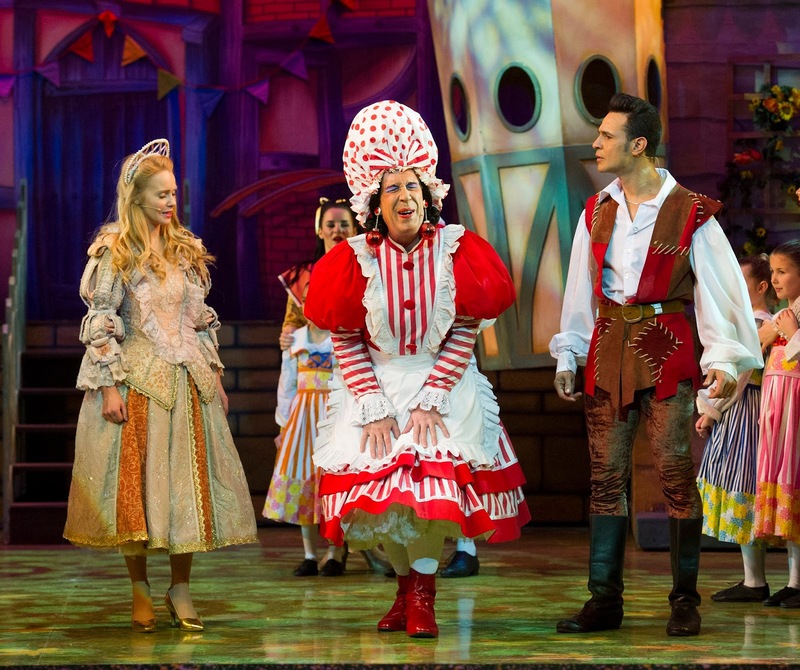 The tale of Jack and the Beanstalk is one of the most popular and well- loved pantomimes in the UK. 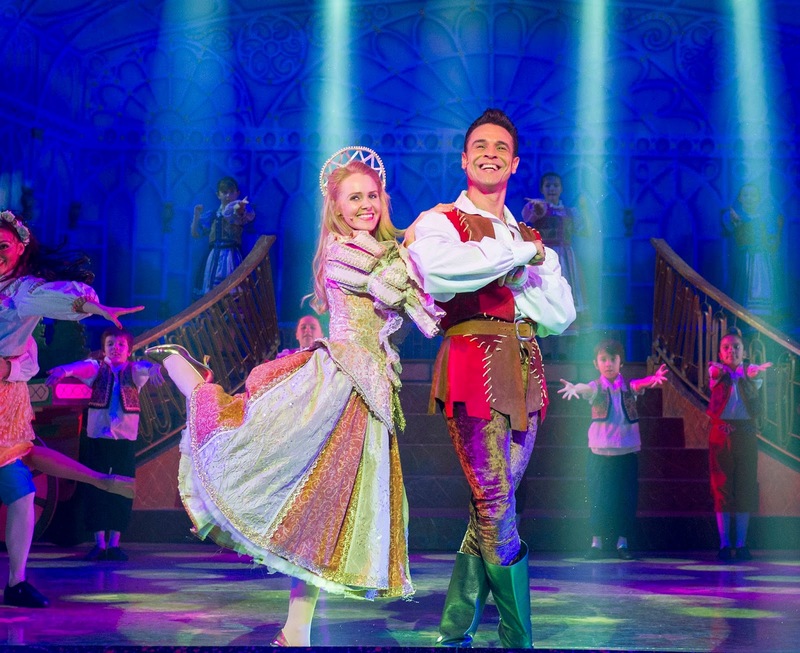 For my overseas readers who may be unfamiliar with the term, a pantomime is a theatrical show, mainly aimed at children, which involves music, topical jokes, slapstick comedy and is based on a fairy tale or nursery story, usually produced around Christmas. My local theatre, Theatre Royal Plymouth, which is 'the largest and best attended regional producing theatre in the UK', invited me to their annual giant pantomime spectacular. Growing up it was a tradition for myself and my family to go to TRP's pantomime every Boxing Day so it was lovely to attend again this year to see their production of Jack and the Beanstalk. With a fantastic cast led by the hilarious Bobby Davro along side John "Boycie" Challis, the one and only Chico (yes he sang Chico Time- my childhood dream accomplished! ), comedy legend Jeffrey Holland and a fantastic all- singing all-dancing company, the show is certainly not something to be missed! I even had the opportunity to spend some time with Jeffrey Holland myself and to ask him a few questions about his experiences of playing the hugely loved traditional role of pantomime dame. In this production Jeffrey played the role of Dame Trot, Jack and Simple Simon's mother, with this being his forty third professional pantomime season and playing dame for the twenty sixth time;he has plenty of experience behind him which is evident in his confident and majorly entertaining performance during the show. Jeffrey's first performance as a pantomime dame coincidentally started at Theatre Royal Plymouth itself back in 1989 with the production of Sleeping Beauty- 25 years later he is back on the very same stage. His favourite pantomime story to participate in is Mother Goose and Babes In The Wood (which unfortunately is no longer a popular pantomime subject but is similar to the much beloved tale of Robin Hood). 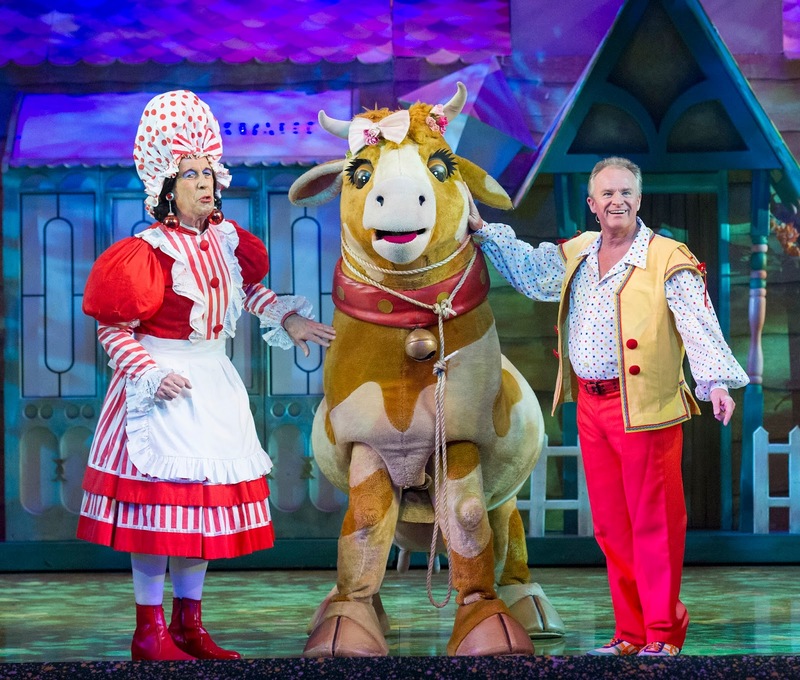 When asked what makes a great pantomime dame, Jeffrey replies that they are meant to be just a "bloke in a frock" rather than trying to impersonate a woman yet should hold motherly and matronly characteristics. He feels that the character should resemble your favourite Aunt; somebody you can't help but love and of course makes you laugh until your tummy hurts! I had preconceptions that pantomime dames generally had a huge amount of costumes and many quick changes for each show as this is what I had previously witnessed with other dames but Jeffrey owned only four costumes for the performance in total. He explained that he is not a clothes horse dame but rather uses his own acting skills to portray the character just as confidently and expressively. He does his own brightly coloured pink and blue powder makeup and gets dressed in his costume within 20 minutes so he is ready for curtains up at 7pm in the evenings and 2:30pm for matinee shows. Jeffrey enjoys working along side his cast members which is apparent with their on- stage chemistry where you can sometimes even catch them making personal jokes at each other on stage causing the whole audience to laugh with them! Disclaimer: I have worked with Theatre Royal Plymouth to create this post but all thoughts and opinions are 100% my own, as always! Photos are credited by Alastair Muir. Oh wowm I've always wanted to see a pnato!